Quilt designer Laurie Shifrin feels fortunate to live in the lush Pacific Northwest, where her love for the colors and textures found in nature is constantly fed and nurtured. As you look at the rich layers of color and texture inherent in her designs, you’ll see that her previous career as a professional symphony violinist seems to have given her a sensitivity for elegance, richness, vibrance, and rhythmic patterns. Though she enjoyed her former career, Laurie will tell you that this phase of her life has definitely been the most creative and rewarding! Laurie has authored three popular books featuring batik fabrics: Batik Beauties and Batiks and Beyond for Martingale & Co., followed by Batik Gems for C&T Publishing. Her patterns are published under her own name — Laurie Shifrin Designs — and showcased on her website. While some of Laurie’s most popular designs are for small projects, her quilt designs — many with instructions for multiple sizes — are standouts. Her design Antelope Canyon is one of the quilting industries’ top-selling patterns of 2017. As a published author, designer and quilter with more than 40 years experience, Laurie has enjoyed traveling far and wide to teach, share and inspire. Many of Laurie’s students praise her ability to share her signature love of color, and a craftswoman’s approach to technique. Laurie prides herself on precision in her instructions. Her goal is for you to really learn something from her classes, and her most rewarding moments come from sharing her wealth of knowledge, tips, methods and insights with quilters of all levels. Many quilters know Laurie’s friendly face from her many years as the manager of the legendary Seattle quilt shop In The Beginning, which closed its brick-and-mortar doors a decade ago. She continues as wholesale manager and technical editor for books and patterns published by In The Beginning . Laurie worked with well-know quilter Marsha McCloskey, editing her book, Feathered Star Quilt Blocks II. 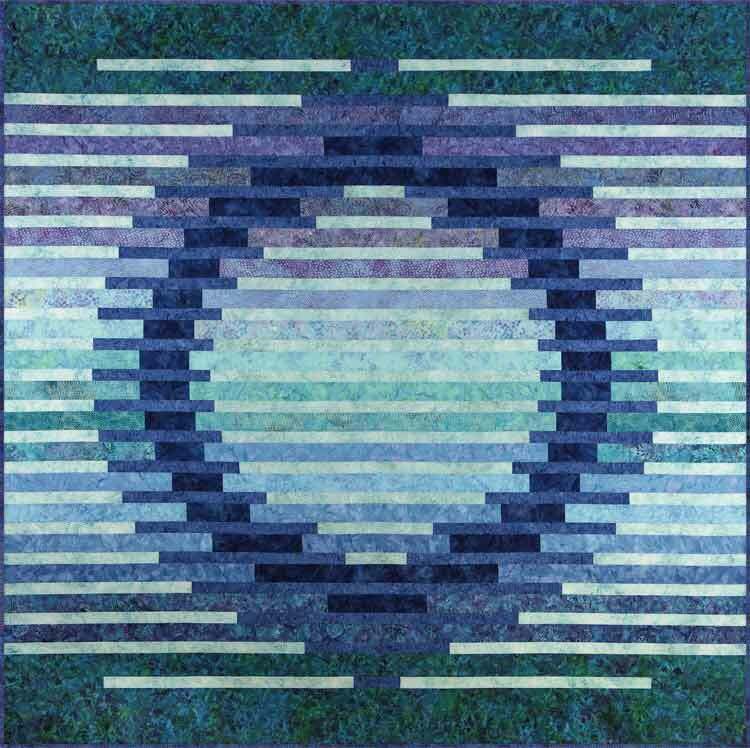 Laurie’s other quilting endeavors have led her to design two block-of-the-month patterns for Hoffman California Fabrics: Ripples and Reflections, and Nature’s Jewels. She has contributed quilts to numerous books, including Sandy Bonsib‘s Quilting Your Memories, In The Beginning’s Playtime to Bedtime, and Eleanor Levie’s Skinny Quilts and Tablerunners. 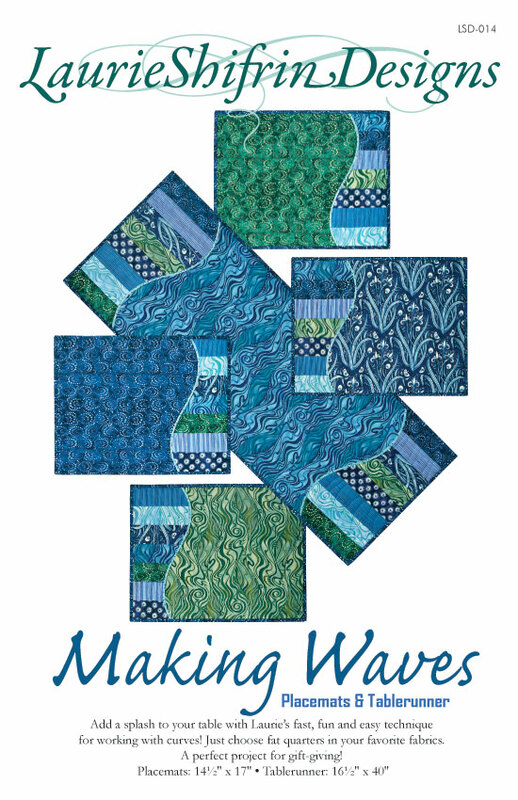 Over the years Laurie’s quilts and quilt designs have been featured by Hoffman, Island Batik, Princess Mirah, Timeless Treasures and many others at International Quilt Market. A special highlight of her quilting career was her appearance on Alex Anderson‘s television series, Simply Quilts. To contact Laurie and to order patterns, email her at laurieshifrin@aol.com. When is the 3rd book coming out? We don’t have it…do we? My latest, Batik Gems, has been out for a while – and it’s still in stores. If you’d like to purchase a copy from me, just send me an email. I’m hoping to get some of the quilts up on this website so you can check out the projects. Kay, which pattern do you think you’ll make first? I’d love to see a photo of what you do. What kind of batting do you prefer with batiks? I am making a queen-sized quilt with batiks. I think I would like a really thin batting, but having seen much of that in the local shops. Do you have a recommendation? That is a great question – one I get all the time. I prefer a cotton batting with batiks because with polyester, the fabric just floats on the batting and I like the fabric and batting to feel like they are a unit – connected. So I use (almost exclusively) Quilters Dream Cotton (http://www.quiltersdreambatting.com/) in the 2 thinnest weights – Request and Select. I prefer this brand over Warm and Natural, because there is a scrim in the Warm and Natural, that is a polymer mesh, which is hard to hand quilt through. And I like to have the option of hand or machine quilting. If you do primarliy machine quilting, any of the cottons would work, or even Hobbs Heirloom 80/20 blend, which has just a little polyester, giving it a little loft. Another factor that influences my batting choice is that I like the batting to be flat, like with cotton, so that it isn’t the quilting which is showcased, but the fabrics and the design. With loftier battings, the quilting catches the light and forms shadows, which then become the focus. I also choose the lightest weight, Request, more often than not, because I’m not aiming for a heavy quilt (I travel with my quilts and the lighter the better for me). If you are looking for more warmth from your quilt, try the Select, Deluxe or Supreme (a beautiful, thick cotton) weights of Quilters Dream Cotton, or even a wool batting. I hope this helps – but I believe the best way to form an opinion about the different battings is to try as many types as you can, and take notes about what you like and don’t like about each. I just finished “Nature’s Jewels” and am wondering when you will have the pattern ready that uses the extra fabric from this quilt. I love this quilt and the fabrics! Laurie, I see you are teaching at Northwest Quilting Expo in Portland OR. I won’t be able to get there to take your class. Will you be selling your patterns at the show? Yes, I’ll be there for 3 classes, one trunk show/lecture and I’ll have a quilt exhibition. My patterns and books (and some kits) will be for sale the whole time and I’ll be by my merchandise whenever I’m not teaching, so I hope to see you there! And, I’m so excited that my new Antelope Canyon quilt and pattern will be making its debut at the Northwest Quilting Expo!